It’s Valentine’s Day already! How the days fly-by. Just the other month we were had our list of everything we wanted to accomplish in 2017. It’s a safe bet to assume somewhere in your New Year’s resolutions list you wanted to look glamorous. Well, we are here to make sure you stick to your New Year’s resolutions, without breaking the budget. At She and Sky, you’ll find everything you’ll need to look glamorous this Valentine’s Day, and any other day for that matter. Let’s look at some offerings you can take advantage of right now. Don’t you just hate it when every online store you visit doesn’t have a dress in your size? Or when you see a really nice dress, but they don’t have it your size? Well at She and Sky, you won’t have that problem. The Plus, Size Collection category, has all the top styles in more sizes, which means you have lots of options. You’ll find everything you want here. If it’s that cashmere top your friend flaunts around every time you go out, you get it in your size! Not only that, there are lots of tops, bottoms, and dresses to choose from. The only limit is your imagination. This is a special category for the hottest red dresses in town this month. But who is to say you can’t wear some of these numbers on other special occasions? 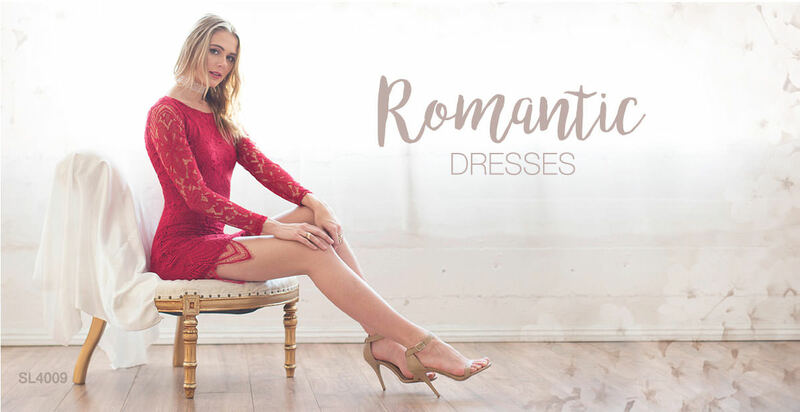 It’s all up to you, but this Valentine’s you’ll look absolutely gorgeous in one of She and Sky’s Valentine’s dresses. But don’t get carried away too much. Remember we said you can wear the dresses on other occasions as well? That means you have to have a bit of forethought before you buy a dress. You want to make sure that the dress you are buying can work out for other occasions. Keep away from the over-flowery dresses, or the Valentine’s themed dresses and you’ll be okay. If you are in the mood for something adventurous, and practical summer dresses, you want to check out this section. Here, you’ll find lots of floral or earth-toned dresses cut short and styled for summer adventure. The dresses work out well with almost everything you have in your closet when you pick out the right color. That means if you have several dark high boots, get a light colored dress from this section. But who are we to teach you how to match your attire? You’ll do just fine on yourself. If you are looking to upgrade your tops and sweaters, check out the tops section for a variety of everything. 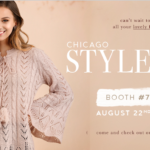 There are long sleeved, short sleeved, sheer, sequin, and embroidered tops. Sweaters also come in broad variety of cashmere sweaters, wool sweaters, hooded sweaters, and knit sweaters. Remember we mentioned that She and Sky will not dent your bank account? We forgot to tell you why. She and Sky is a Los Angeles wholesale clothing company. That means the apparels are priced just right, and Los Angeles being the central district of the whole country, you’ll never fall behind the latest trends. The crew behind at She and Sky take their time to select only the best. That means you are not buying into fads that last a couple of months. The dresses, and everything else will trend for a long time. That means you’ll always be looking glamorous and chick every time you wear them. Another thing you should know about She and Sky is that they take their business very seriously. The clothing company isn’t just about making a quick sale. They are about celebrating the female form. They are looking to make women everywhere feel empowered, gorgeous, and confident. Shopping at She and Sky will leave you feeling so good about yourself, that you’ll make everyone else around you feel the same.